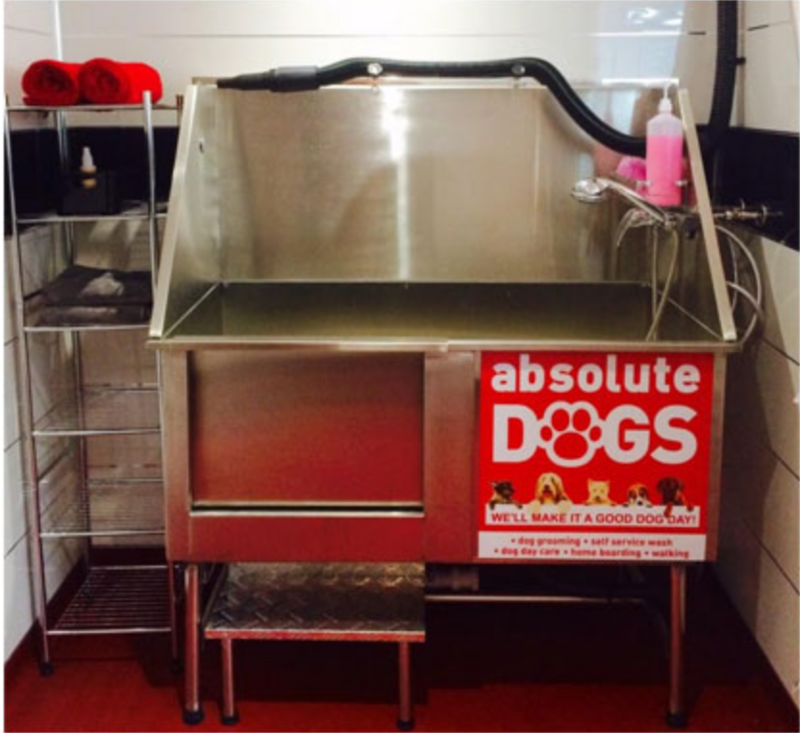 Visit our purpose built state of the art equipment, for dog owners to bathe their own dogs. Self service wash is for walk in clients, where no appointment is necessary. You will be shown to your personal unit and a member of our team will guide you through the instructions and safety tips. All units are supplied with an apron, fresh towels, brush and comb and perfume for the finishing touch. Our baths are designed for all sizes of dogs with an easy step up ramp to ensure that your dog whatever its age is comfortable with a slide along door to keep it safe and secure. Each unit will be sanitized after each use by our dog friendly staff to ensure that upon each visit your dog will enter a clean disinfected germ free spa experience!